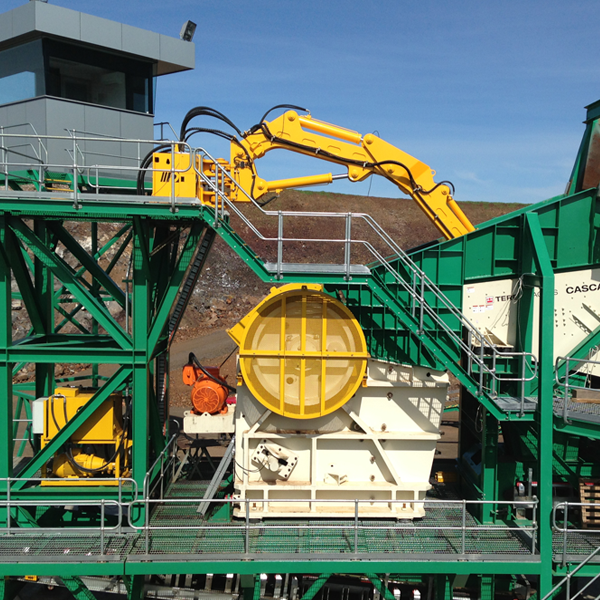 At McQuaid Engineering Ltd. we understand that in this business time is money, and the bottom line is tons per hour. 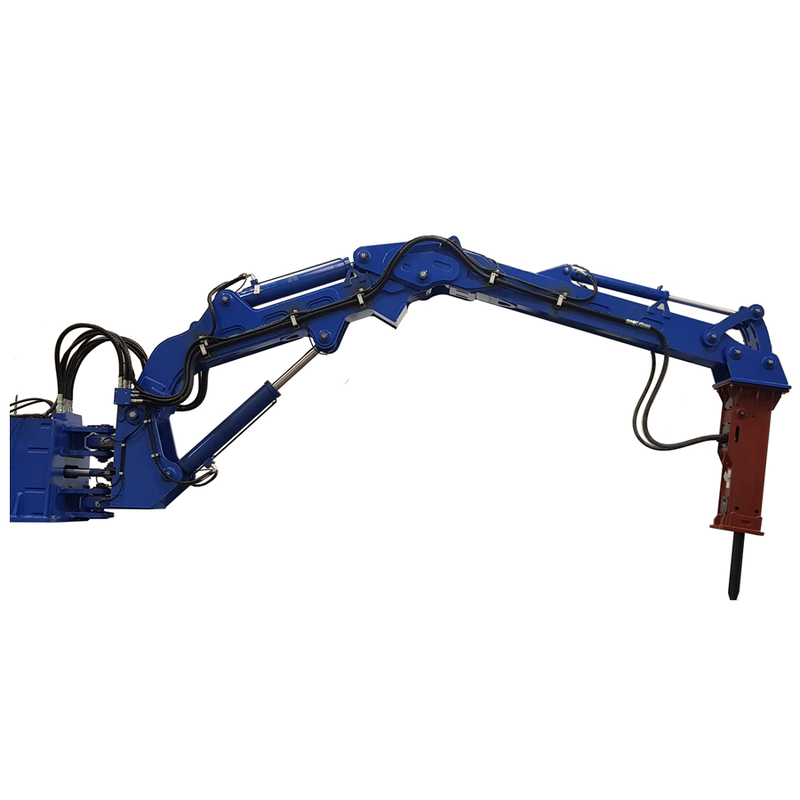 Our stationary rock breaker boom systems are built tough to keep your plant running in the toughest of applications. 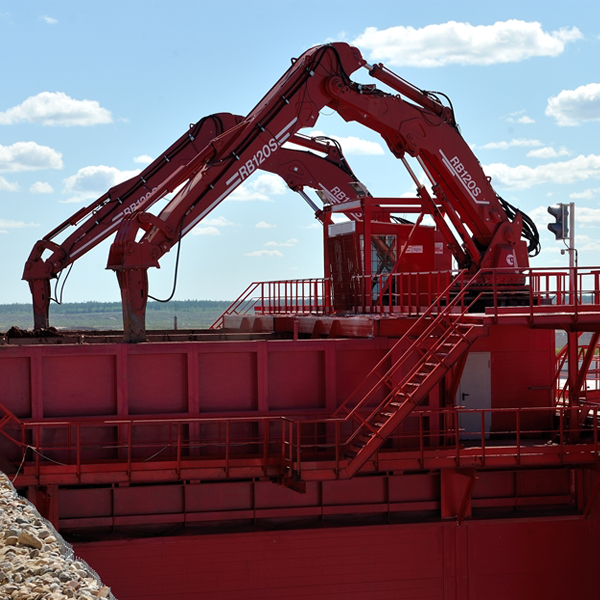 Field proven and customer approved, we have the package to meet your specific needs. 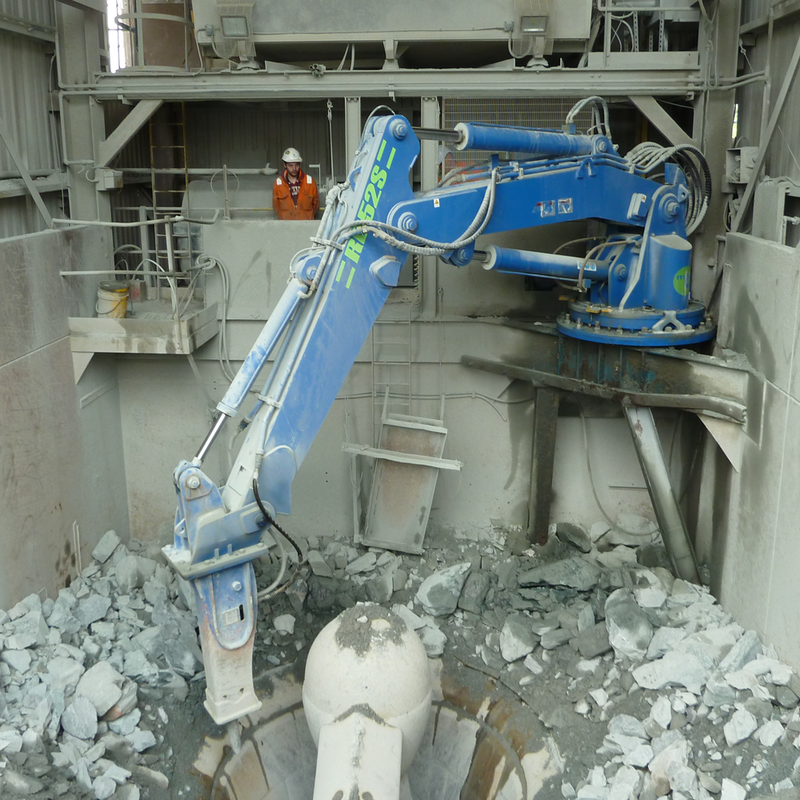 McQuaid Engineering Ltd. offer the customer a comprehensive range of pedestal rock breaker boom systems which enhance the safety, productivity and profitability of crushing applications in mines, quarries and construction sites worldwide. 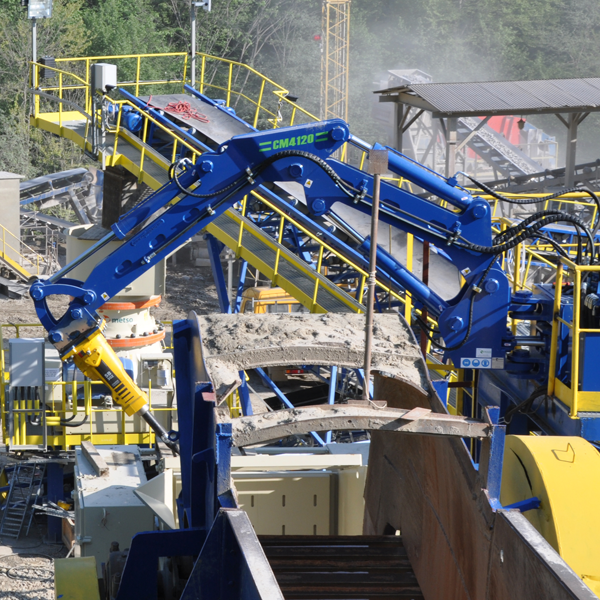 Our pedestal boom systems are designed to rake material, break material, reduce downtime and keep your profits flowing in harsh and demanding applications. 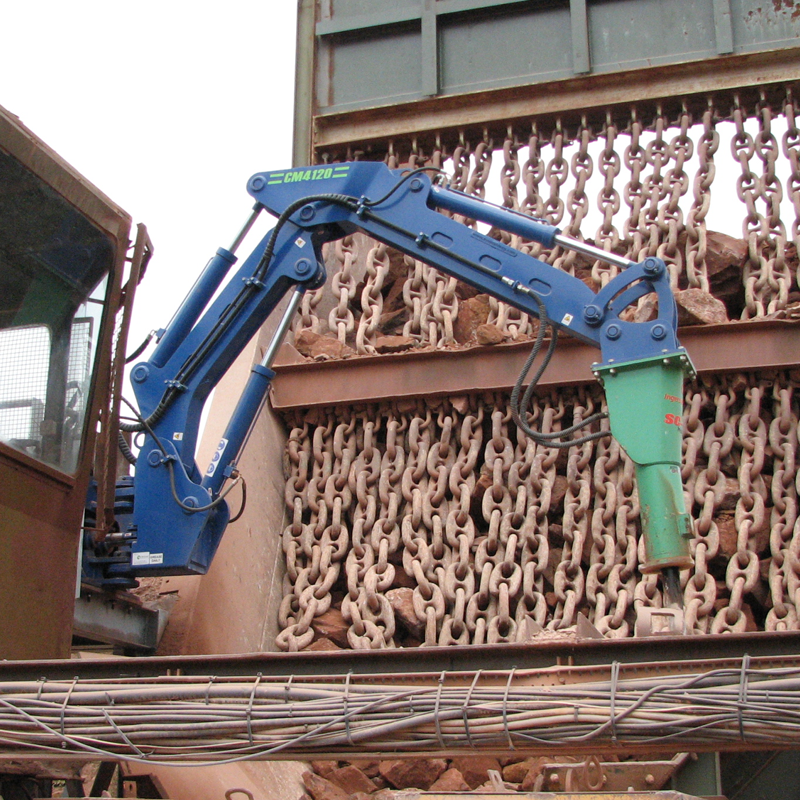 A rock breaker boom is the safest way to manage bridging, build ups and oversized materials. 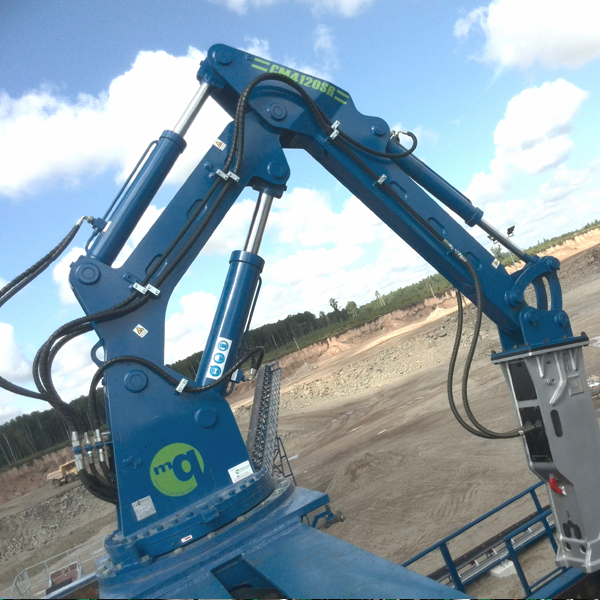 We can provide a boom solutions package that is specific to your site requirements. As part of the service we provide you with product proposal drawing showing compatibility of model of boom for your needs. 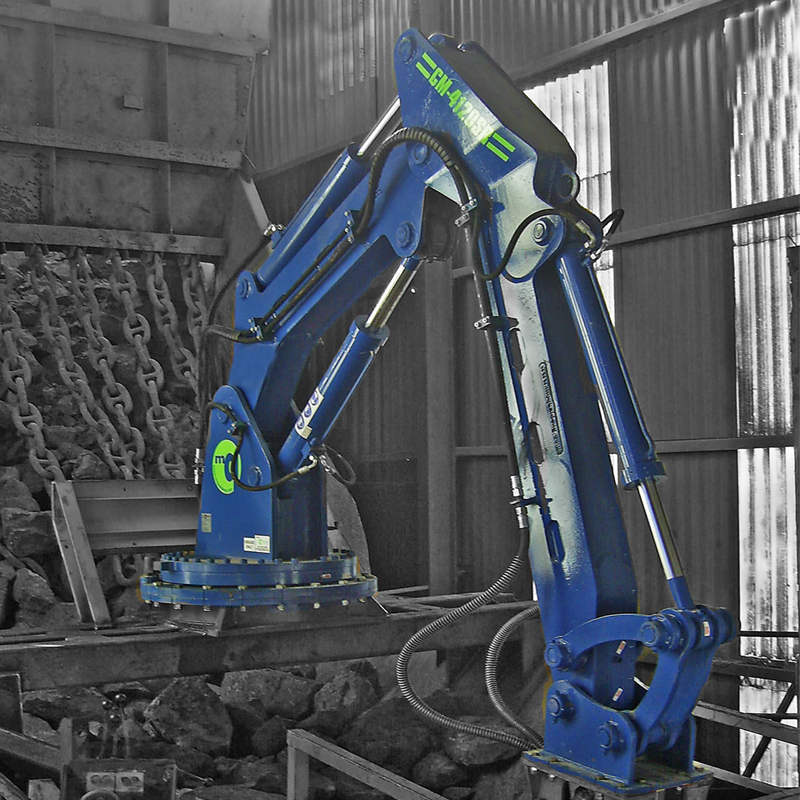 The boom package consists of a rock breaker boom, power pack, hydraulic hammer, operator controls, supporting steelwork, installation, commissioning and operator training. 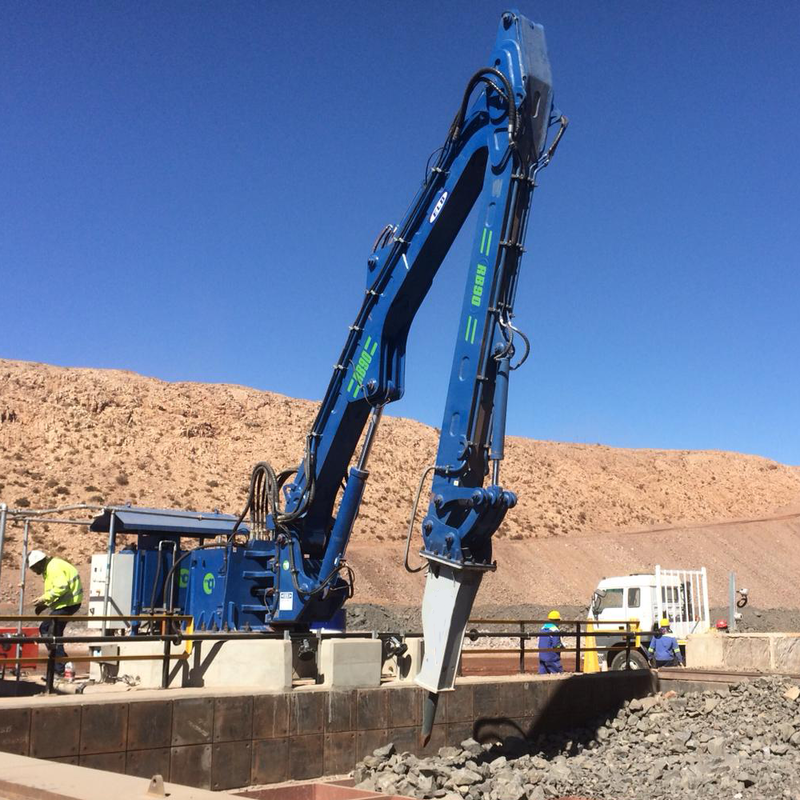 The experienced team at McQuaid Engineering Ltd. will provide a site specific assessment and site proposal drawings to assist with good planning and cost control. 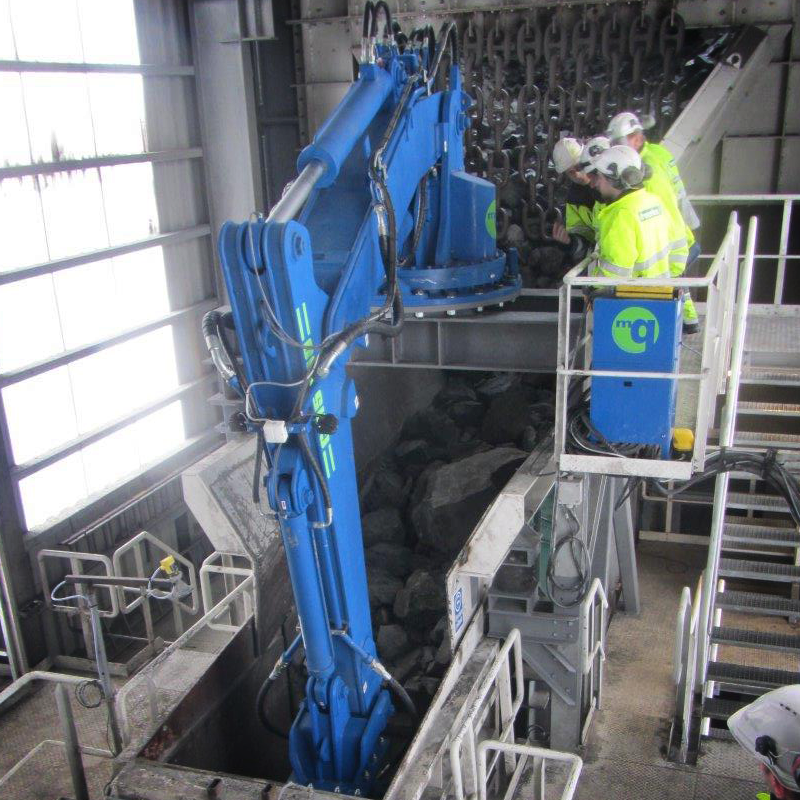 We will ensure that your equipment is positioned for optimum safety, reliability and productivity. 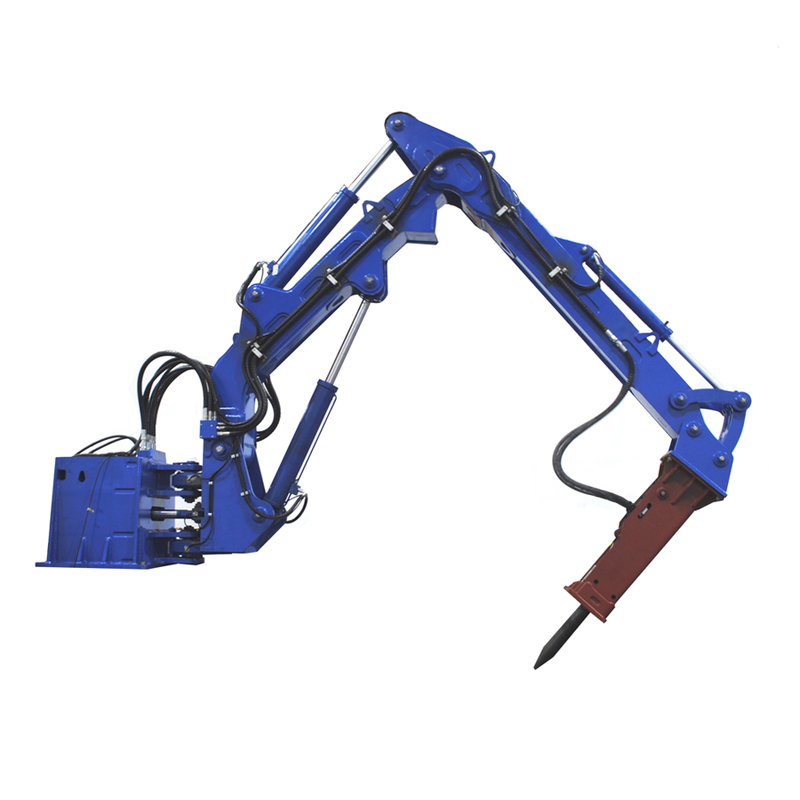 We can offer our MQ range of hydraulic hammers that are fully compatible to operate our boom systems or we can supply other well own brands such as Rammer, Sandvik, Montabert, FRD, Terex, Atlas Copco etc. We provide various power pack options depending on your needs. Our additional options include an immersion oil heater, oil cooler and control panel.